But her glamorous existence hid a dark secret: she was no comtesse. She was born into abject poverty, raised on a squalid backstreet among the dregs of Parisian society. Yet she transformed herself into an enchantress who possessed a small fortune, three mansions, fabulous carriages, and art the envy of connoisseurs across Europe. A consummate show-woman, she ensured that her life?and even her death?remained shrouded in just enough mystery to keep her audience hungry for more. 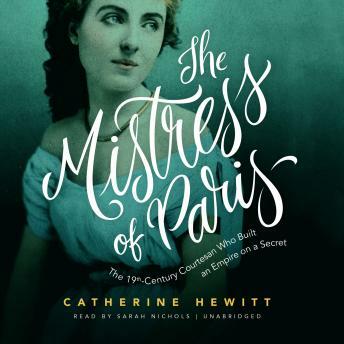 Spectacularly evoking the sights and sounds of mid- to late nineteenth-century Paris in all its hedonistic glory, Catherine Hewitt's biography tells, for the first time ever in English, the forgotten story of a remarkable woman who, though her roots were lowly, never stopped aiming high.